Will Daniel Negreanu beat Phil Hellmuth in the match of boxing? This might sound strange question to you, but Negreanu wants to people’s opinion on this. Negreanu is a player who is most vocal and often involves in Twitter rants, polls and conversations with his fan and followers. In recent instances, Negreanu is going to post a hand decision to gauge the thoughts of people. However, on 21st February the player wanted to know if his followers and fan people would bet on him for the boxing match that he is going to have against Hellmuth. The boxing fight will take place “tomorrow”. Negreanu Gets the Decision Win. Total 12,177 followers participated in the poll and of which 57% participants say they are ready to bet their money on Negreanu. The boxing match between both poker players is an informal game and Negreanu takes the matter as a joke twitted that the last full three rounds the Poker Brat would be a 20-1 dog. 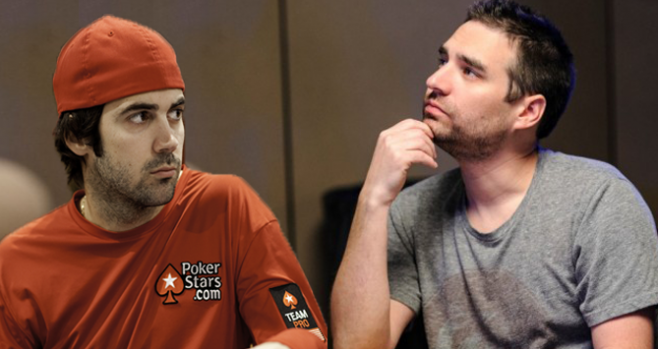 The twit has attracted many from poker industry an and the ice hockey player turned into Poker pro Greg Mueller asked Negreanu if he would have the same odd with Kid Poker standing by the final round. Negreanu rejected the offer with the comment “hell no”. Although, Negreanu maintained he has better fitness and would crush Hellmuth easily. Hellmuth commented the poll result was “bull***t,” he’d beat Negreanu and will remain standing till the end. Hearing these comments you must be thinking that both players are rivals. But, it is not like that two are friends and taking boxing in a good humor.